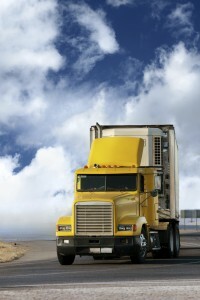 Tractor trailer trucks, or semi trucks, can legally weigh up to 80,000 pounds. That’s 20 to 30 times more than the weight of an average automobile. The average tractor trailer combo is 70 to 80 feet long, while the average length of a car is 13 feet long. Because of their size and weight, tractor trailers require 20 to 40 percent more time and distance to stop than cars do. This amount is greater on wet and slippery roads. When you consider these numbers, it’s no surprise that in most fatal truck accidents involving a semi truck and a car, the fatalities happen in the passenger vehicle. The trucking industry is vital to our nation’s economy, so passenger vehicles must share the roadways with them. Considering the above statistics, other drivers need to be assured that tractor trailer operators are well trained, well rested, not distracted, or under the influence of drugs, alcohol, or other medications. Unfortunately, this is not always the case. Federal regulations limit truck drivers to driving up to 11 hours at a stretch, and up to 77 hours in a seven day period. Surveys show that many drivers exceed these hours in order to make more money. Semi drivers have also been known to over-pack their trailers, increasing the weight and danger to passenger vehicles. Truck driver negligence can be both, on the part of the driver, and on the company that hired the driver. If you or a loved one has been injured in an accident with a big rig, you need to call an experienced truck accident attorney. Call us today at (877) 478-3737 for a free consultation.